The highest quality micellar casein in the form of a tasty protein shake. Protects against catabolism during the night (up to 6 hours of consumption)! Good solubility! 125 loyalty points Your cart will total 125 points that can be converted into a voucher of 5,00 PLN. ON 100% Casein Protein - Casein is the main protein in milk and most useful as a building material for the purposes of synthesis. After consuming casein Optimum 100% Casein Protein formed in the stomach serum, which is susceptible to digestion much more than the protein meat products. 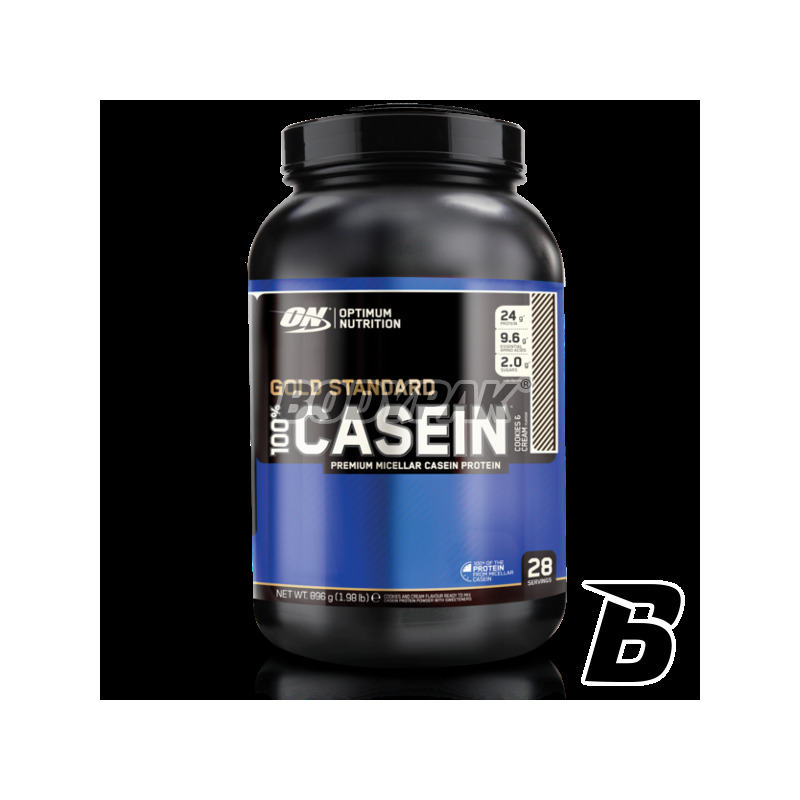 Due to the long time absorption and optimal amino acid composition of casein Optimum Nutrition 100% Casein is intended primarily for the purpose of maintaining a positive nitrogen balance. 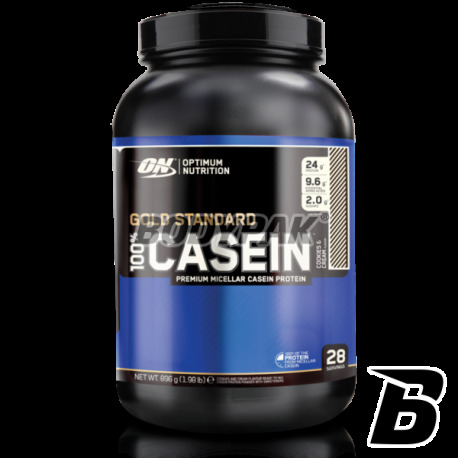 If you are looking for a night of protein Optimum Nutrition 100% Casein is the perfect choice. Amino acids from protein supplements containing casein are absorbed up to 6 hours of taking supplements. Micellar casein has a high nutritional value and distinguishes the most uniform and the longest kinetics of all dietary proteins. These features make the quantity provides long-term maintenance of elevated free amino acids available for the development of muscle tissue and effective inhibition of protein catabolism, especially during the night and after workouts in post-absorption. Ingredients: micellar casein (emulsifier: lecithin), cocoa powder with a reduced amount of fat, flavors, salt, thickeners (cellulose gum, carrageenan, guar gum), sweeteners (acesulfame K, sucralose), a mixture of enzymes (amylase, protease, cellulase, beta-d-galactosidase, lipase).